Top Rated For Excellence in Key West by Trip Advisor. The best equipment and boats money can buy. Skilled, full time, professional fishing guides and captains. Quality and professionalism with a money back guarantee. Over 20 Years of top rated customer service! Book a fishing charter with us for backcountry, flats, reefs, deep sea and wrecks from Key West to the Marquesas Keys. We bring it to you on the best fishing gear and boats money can buy with a team of skilled full time professional fishing guides boats and captains. Young or old, experienced or not our anglers deserve the best every time we leave the dock. Look no further. We are a full service that caters to your whole Key West fishing experience from start to finish. We love our jobs and it shows. 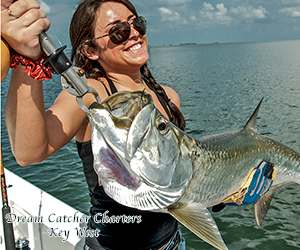 We know there are many other choices for fishing charters in Key West. Some of them are even good ones. Its obvious in our overwhelming reviews that our clientèle consider Dream Catcher Charters to be one of the best choices. This is not a hobby for us, its our job, what we do. Your satisfaction is what has kept us in business for over 20 years. Give us a call and find out how we guarantee you wont be disappointed in our fishing charter service. Go on our Face-book and ask about us. 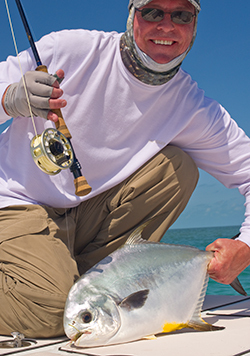 Become a part of our growing Key West fishing family. Ask the other guys how long they have been around. As everyone knows social media is a great way to stay in touch and follow our favorite things. No different here. See daily photos of our captains and clients as they live the dream fishing in Key West. Families, groups and people who really like to getaway love us. 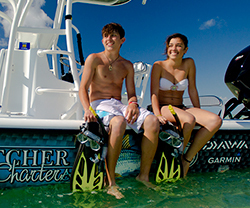 Our Key West boating charters cater to anything and everything you want to do on the water with a boat. We have many different types of boats to meet anyones needs. Our guides are very experienced and able to show you things off the beaten path that the others just don't even know about. See for yourself how far you can take us. Come to us with your idea of the perfect day on the water and we bet we can provide it. The sky is the limit.